Credit to them, Cardiff continued their impressive record in Cork as they notched up a fourth victory over the men in red. 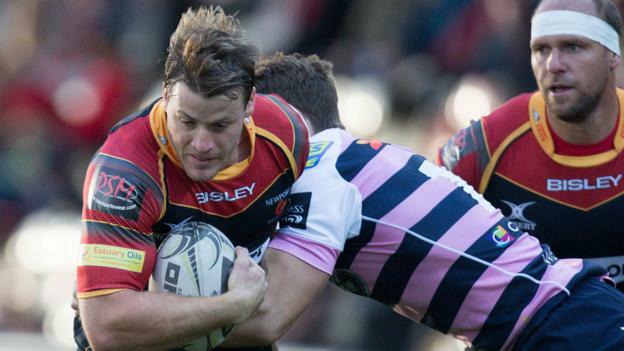 This week however, brings a Dragons team who barely scraped past Zebre (11-6) last week & finished last season with less than half the points total of Edinburgh who finished just one place higher in the PRO12 table. The loss of key players such as Andrew Coombs (retirement), Aled Brew & Taulupe Faletau (both transferred to Bath) have not been adequately replaced. Munster meanwhile will likely be kicking themselves after a one point reverse against Cardiff last week. Amid apparent rumours of a heated training session the following Monday, the fixture list could not have been kinder to the southern province with this weekends contest a tremendous opportunity to get back to winning ways and notch up a sizeable points tally too. 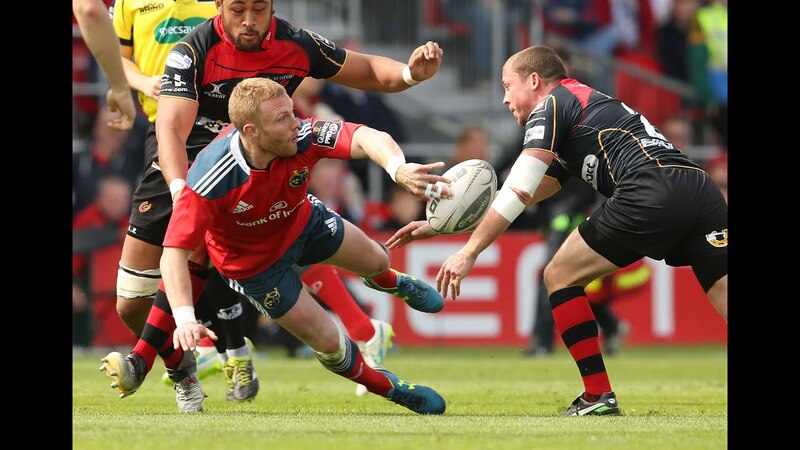 Making his first appearance of the season, Keith Earls is now Munster and Ireland’s premier wing option. Probably one of the most clinical finishers in world rugby, I believe Earls would comfortably waltz into any club or international side. Blessed with tremendous upper body strength for a 92KG guy, Earlsie seems to have put his injury woes behind him and is now regarded as a senior squad member, approaching 150 Munster caps and having already notched up over 50 international appearances. He will hope to fare better this season in crossing the whitewash, a solitary five pointer in 14 appearances in red last term was not a pretty return but Munster will hope to score much more this season in general. Also lining out for the first time this term is possibly the world’s best scrum half Conor Murray, and by God do we need him to be in tip top shape. There is a dramatic drop in quality at 9 from Murray > Williams > O’Leary in all aspects of play. Murray’s accurate box-kick bombs will be welcomed back in earnest & his passing speed will be of the utmost importance for the backline to get motoring. The most important player in Europe, as written by Last Word on Sport earlier this week. Howard will be up for this one. The Dragons’ greatest threat is of course in the back three and Hallam Amos is the outstanding name in the department. Renowned for his scintillating feet, Amos earned himself international recognition as Warren Gatland tossed him into his Welsh side to take on the All Blacks during the Summer. The youngster has his defensive fragilties, but Munster can ill-afford to allow him to run from deep in attack (as Cardiff’s Dan Fish did so well last time out) if Erasmus’ men have aspirations to shutout the home side and address last week’s issues. Pat Howard endeared himself to the Munster faithful during his positive stint in the 2014/15 season and a section of fans will be looking forward to see how the once cult hero is doing two years on. Since completing his Munster loan the South African played just twice for the Stormers before being entirely unused by Northampton Saints last season. Now however with the Dragons, Howard has rediscovered his Pro12 mojo with a try in each of his two games so far. With a tidy combination of confidence and inspiration heading into this match, the Munster lads should be looking to keep the winger’s service to a minimum all evening. I can see an angry Munster side boosted by elite international stars taking the Dragons to the sword and collecting their first bonus point of the season. I have no doubts that game management will be improved drastically by the introduction of Murray and Bleyendaal in 9 and 10 respectively and will set a solid platform for Rassie’s reds to rack up the scores.